chocolate cake with chocolate chunks & chocolate butter cream. Made to feed 15-20. 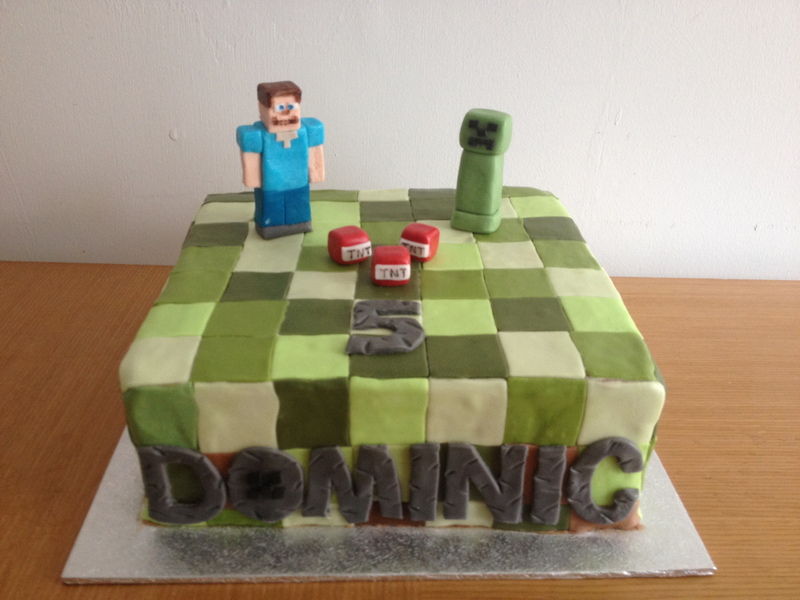 Covered and decorated in coloured icing with characters from the game minecraft.